This saying is incredibly true when it comes to cloud computing and the amazing potential it offers us, which looks set to increase even more in 2011. Given that Forrester Research has predicted that 2011 will be a landmark year for the technology, as the foundations for cloud computing have been firmly laid during 2010, we can look forward to manifesting success using cloud computing tools. Let me tell you briefly how cloud computing has helped me design my life, so that you can feel it’s potential. Based in sunny southern Spain, I own a Search Marketing Agency with many clients in the United Kingdom, across Europe and some in America and the Far East, plus I do some charity work for an International Children’s Cancer Charity. I earn a decent living, collaborate with some amazing people across the world; give a little back to society and all of this without moving from the Spanish seaside town where I live. Without cloud computing I would struggle to come close to this privileged situation. There are many great free and inexpensive cloud computing tools out there that have helped me both in business and in the charity in which I collaborate. Let’s take the example of the charity, CCE Research Alliance because like any charity funding is always quite challenging, so without some of these great cloud computing tools our progress would be far slower and more expensive. Firstly let’s quickly define cloud computing. Cloud computing is internet based computing, whereby shared resources, software, and information are provided to computers and other devices on demand, like the electricity grid. How has cloud computing helped a Children’s Cancer Charity make a difference? Without cloud computing many of our goals for the Children’s Cancer Charity, CCE Research Alliance and Monty’s Corner would most likely would have taken a lot longer, plus been much more expensive and been far more difficult to achieve. With cloud computing we can make things happen quickly and inexpensively. The international reach and potential that cloud computing has given the charity is hard to equate, but it has made a huge difference to us in a comparatively short period of time. “Working in the cloud” enables CCE RA to keep its promise to public. It also allows us to reach out to our beneficiaries, supporters and collaborators easily. Childhood cancer research is an underfunded field as the incident rates are low when compared to adult cases. This has the knock-on effect of attracting little or no funding from governments, which in turn means that more scientists are moving towards adult cancer cases due to lack of research funding. Each year around the world around 200,000 children are diagnosed with cancer. Children are not small adults. Research in treatment, supportive care and cancer causes requires different approaches right through from newborns to young adult age groups. Without cloud computing I know that our job to spread the word, raise funds and make important connections would be far more difficult and prohibitively expensive. LinkedIn (the professional social network) – helps us bring professionals together and allow us to share ideas and collaborate. LinkedIn gives us the potential to meet like minded people all over the world who wish to share information and network. Valuable contacts can be made via LinkedIn. The collaboration between Jackie Bourke (Spain) and Meltem Kogelbauer (United Kingdom) began because of a group conversation on Linkedin. Linkedin is a very powerful tool, however it should be used very carefully and slowly to get the highest value out of it. Facebook – connects us to our community and helps us make new connections with other people who wish to get information from us, support us or collaborate with us. Twitter – lets us tweet about what’s happening to our followers, plus follow others of interest. Twitter, Facebook and Linkedin make the world a much smaller place. Volunteermatch.com – has been great for attracting volunteers. So far we have had about 50 volunteers from this site. Vodafone’s Matchmaker Tool - Now we are reaching out to more volunteers internationally, speaking the local languages with Vodafone’s matchmaker tool. Vodafone are actively supporting charities by requesting people to donate themselves to their local charities in their World of Difference program. Virgin Money - Our fundraisers use the Virgin Money tools to raise funds. While Virgin makes it easier for voluntaries to raise money, it is cost effective for us to operate. Google Docs – are then used to share documents among the volunteer work force. Google Alerts - is a handy tool to keep us up to date with important information. We set up alerts on relevant keywords so that we are fully aware of new information coming online. Google Adwords - When it comes to marketing, we cannot live without the power of Google Adwords, and as a charity we have applied and been accepted to the Google Grants program for which we are very appreciative. Google Sites - Google Sites is a free and easy way to create and share web pages. These can be used for business as well as for collaboration. They have templates to work with. Chimp Mail - is a great newsletter tool which we use to keep our volunteers up to date with the organisational developments. Skype – without skype we don’t know how keep our communications low priced within the organisation. Open Source Tools – have been used for building the websites of CCE RA and Monty’s Corner. 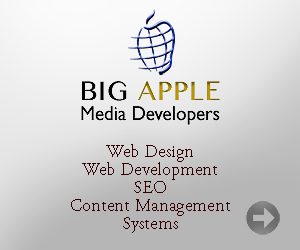 Drupal suited our requirements extremely well with its modular approach. We found it easy to manage as well as easy to integrate. Google Calendar - helps us to diarise and track things which are important to us. SlideShare – (slideshare.net) is used for our presentations. Photo Bucket - is used to store our content photos in order to keep the server size cost effective. Amazon Marketplace – is used to sell merchandise for fundraising around the world. Zazzle Shops – are also used to sell merchandise for fundraising around the world. Cloud computing and technology in general have made a remarkable difference to the work of our charity, CCE Research Alliance and Monty’s Corner, as well as in our business life. As women we have used these cloud computing tools to manifest success and so can you.